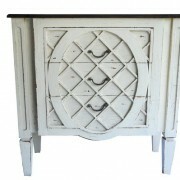 A Bold and Striking piece of Furniture. 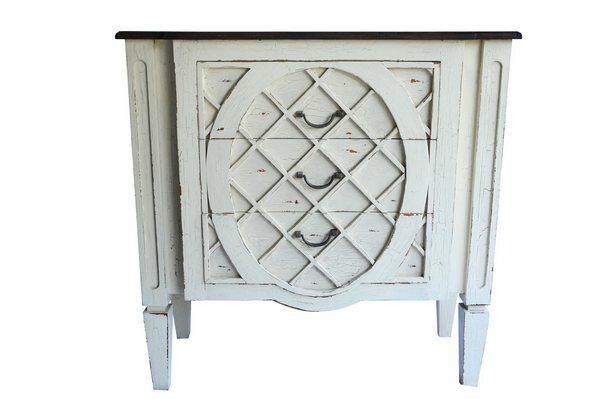 Taking its influence from Classic Period French Chateau Furniture, this extremely Solid and Sturdy Chest is Hand Carved from Solid Mahogany, and has a unique Crackled Cream Finish which gives the piece an authentic aged appearance. 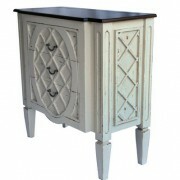 SKU: DAM-001-CC Categories: Aladdin's Cave, Chest of Drawers, Clearance. 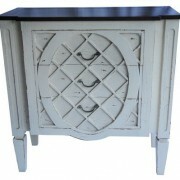 The Damiane Large 3 Drawer Chest is a Bold and Striking piece of Furniture. 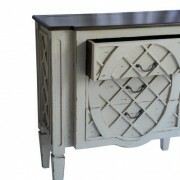 The design takes its inspiration from Classic Period French Chateau Furniture. 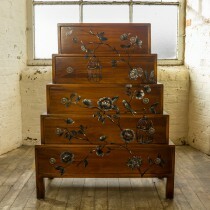 This extremely Solid and Sturdy Chest of Drawers is Hand Carved from High Quality Mahogany Wood. 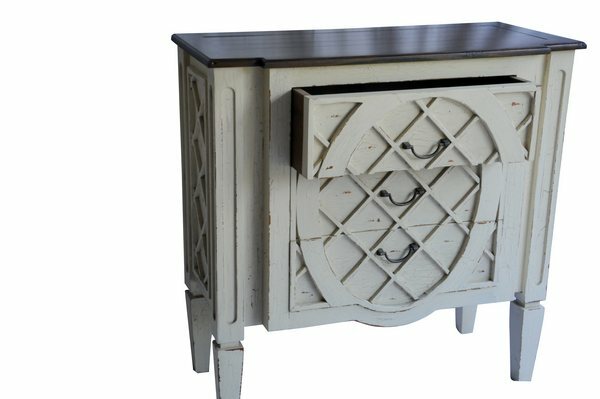 Each unit is Hand Painted with a Classic Cream finish, and then a Unique Crackled Finish is applied which gives the piece an authentic aged appearance. 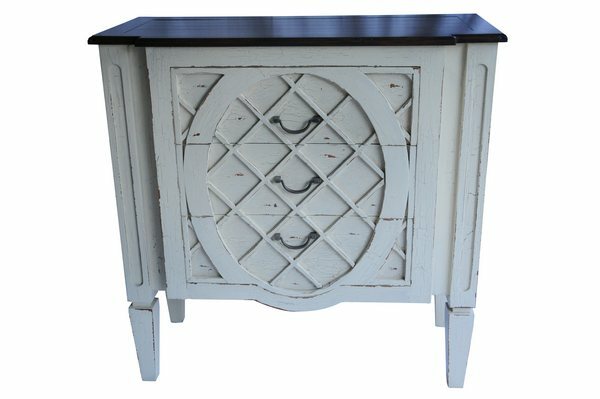 The top piece of this Chest is finished in Rich Mahogany, and provides a striking contrast to the Crackled Cream base unit. 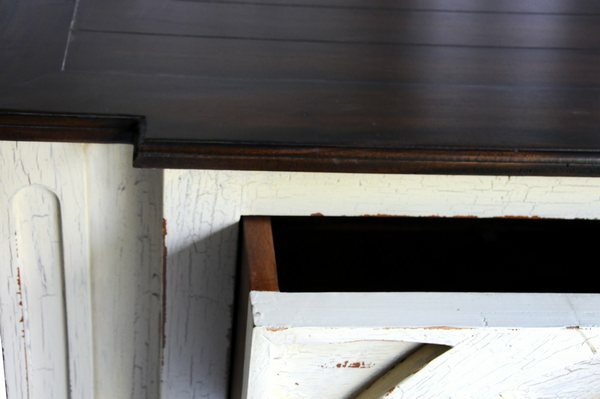 3 Deep Drawers provide substantial, practical storage space. 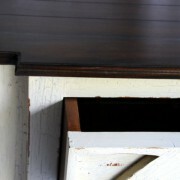 Drawers are smooth gliding, and their construction uses dove tail jointing for extra strength and stability. 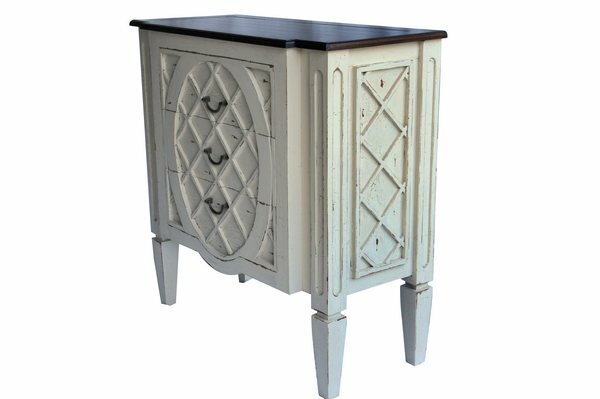 The Drawer Handles are made from High Quality Cast Brass, and have an Antiqued Finish. 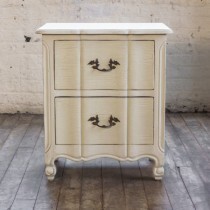 The Damiane Large 3 Drawer Chest is a Fully Assembled unit.